Annoyed with myself for even momentarily participating in the discourses of male normativity, I set myself to the task of contemplating guy-type mistakes. And I came up with three. The first is: a tendency to miss social cues and barrel through the interpersonal elements of the interview process in a state of cluelessness. The second, and this is related to the first: a tendency to profoundly mis-read the reception of the research by the audience and to proceed in a state of blissful ignorance of any possible negative response. And the third, and this one is kind of basic: a tendency to dress wrong. It goes without saying (for astute readers of this blog) that the first two of these tendencies (which of course are not shared by all male Ph.D.s any more than the women’s patterns of behavior I discuss are shared equally by all female Ph.D.s) are reverse images of the problems that women generally face. That is, where women routinely over-censor and over-efface themselves from feelings of intense inadequacy, men routinely under-censor and over-inflate themselves from feelings of intense entitlement. And these feelings of entitlement are just as unconscious and unintentional as are women’s feelings of inadequacy. But they have real impacts. The third problem, of dress, is merely an extension of gendered expectations of proper attire in American society—women are scrutinized, men are not. Therefore, men have little to no experience in strategizing their clothing choices, and have little awareness of the microscopic rules of fashion, and in particular, of proper fit, that they are breaking. How do these play out in interviews? The first problem, of missing social cues, manifests in a tendency to pontificate. Particularly in the awkward social settings of the campus visit—the poorly defined spaces of the candidate dinners, lunches, and receptions—male candidates have a tendency to mis-read the expectations, and treat the social interactions as extensions of the “job talk,” (ie, requiring more monologue), rather than what they really are, which is more like “water cooler chats” (ie, dialogic and informal). This can also happen in formal interview settings as well. Male candidates are far, far more likely than female candidates to give in to the temptation to “hold forth” at excruciating length, entranced by the eloquence of their own words, eyes glazed over or fixed on a spot over the committee members’ heads, profoundly oblivious to the cleared throats and shuffled papers that signal the NEED to MOVE ON. Interestingly, a closely related problem, less often seen, is a tendency to talk too little. This stems equally from a mis-reading of social cues. A remark such as “I can see how this line of research would raise interesting questions in the classroom….” must be understood as a QUESTION: “How does your research find expression in your teaching?” But not being asked directly, in the form of a question, led this type of question to be missed by male candidates with some regularity. I recall candidates who would sit quietly looking at us, moments ticking by, silence dragging on, until someone finally realized that a question had been indirectly asked but not recognized as such. My guess–and this is just speculation–is that this problem is most common where a male candidate is interviewed by women, who may equally unconsiously be relying on indirection and suggestion, and body language and facial cues that don’t always translate well across genders. Now, the second problem—the excessive confidence in one’s brilliance and unawareness of the audience reception— is one that afflicts the job talk in particular. As I counted back through the many, many job talks of my faculty career, I realized that men and women candidates gave good and bad talks in equal numbers, and no gender predominated, in my relatively gender-balanced fields of anthropology and Asian Studies, in ultimate hireability (or offers). Nevertheless, one rule of gender and the job talk prevailed. That rule was: women fail, but men bomb. In other words, the good job talk was the good job talk. Gender played little role indeed. But the BAD job talk? THAT was gendered. The bad job talks by women candidates were run-of-the-mill bad—They were dull, or poorly organized, or unoriginal, or unconvincing, or sadly presented. But the bad job talks by male candidates? Well, those talks could be spectacularly bad. Flamboyantly bad. Memorably bad. These male candidates had somehow managed to completely and totally fail to grasp the spectacular inappropriateness of their topics, their preparedness, and/or presentation styles. They had, apparently, blithely ignored any of the cautions or admonitions that they undoubtedly received from advisors, peers, and general well-wishers, and they proceeded with blissful abandon past the looks of shock, dismay, and outrage gathering on the faces of their job talk audiences. I never saw a woman candidate bomb a job talk in this way. Obviously, this is the flip side of male privilege. Women are not given the license to fail big because they aren’t given the license to try big. Women are disciplined (and punished) and circumscribed and admonished and chastised at so many levels, in so many ways, that men are not….that in the end it is by and large only males who have the opportunity to burst out onto the job market with wildly inappropriate egos and presentation habits intact. This is not to say that all men do. I know well how many male candidates are filled with anxiety and insecurity, and a desperate desire to do well and be agreeable, and read the cues correctly. To be sure. 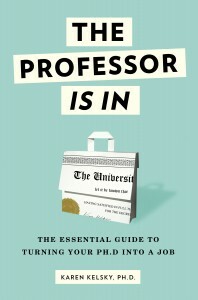 But the chances are higher, far higher, that a man may slip through the cracks of the graduate school socializing apparatus, meant to beat graduate students into a state of deference and submission and hyper-self-criticism, and emerge entirely unaware of the impression that he is making on his audience. And that, readers, is the ultimate “guy-type” mistake. Oh, and then there are the clothes. Guys, go out to Macy’s or Men’s Wearhouse and buy a suit in the $250-350 range. If you can spring for $500 do that, but it’s not crucial. Have the in-house tailor fit you, and DO NOT LEAVE with the suit until it has been tailored for you. This will cost around $40 more. Buy at least one new Oxford cloth shirt and one new tie. Buy a pair of decent quality leather dress shoes, and buy socks that match the shoes or the pants. Buy a good quality leather belt if you don’t have one—make sure it’s fresh and not cracked! Practice wearing the suit or at least jacket around the house, and wear it out to work for a full day and to dinner at least once before you go on a campus visit, to get it broken in. Iron the package creases out of your shirts. Try the suit and the pants and shirts on in different combinations, and plan out day one and day two outfits for the campus visit, with day one (job talk day) being the full suit, and day two being just the pants and shirt and a tie. You can consider wearing a nice Ralph Lauren-style half zipper jersey sweater pullover, with the Oxford shirt and the tie, for day two, if it’s cold, or if it’s a casual, West Coast sort of place. Invest in a quality dress coat! It is conceivable that this you can find second-hand. Second-hand is a good budget option for everything but the suit itself, and the shoes, which need to be fresh and fitted. A cool looking watch can be a nice addition. The ties don’t have to be boring. Men’s attire expresses individuality in these small details. DO NOT CARRY A BACKPACK! Get a quality leather or microfiber briefcase. These can be found cheaply at places like OfficeMax. Have your girlfriend or boyfriend or mother study your options and give you a stamp of approval before you pack. And then, put on all these clothes, and commandeer a classroom in your department, and for god’s sake, give a mock job talk to a bunch of people who will tell you the truth. Because, while not all job talks will succeed, there is no reason at all to bomb. This entry made me think of a guy on the Ecology list-serve (Ecolog-L) who is looking for an academic position and keeps spouting off against efforts to improve work-life balance, spousal hires, etc. I have never hired anyone and I know that not only males do this, but I wonder if candidates ever display attitudes that are offensive to hiring committee members? (As an aside, it seems very naive to wade into these public debates and not recognize that it could affect your job prospects). You’re right, right, right. Oh, boy, are you right. Regarding clothing for men, however, may I disagree on just one point: suits. Now, iyou’re Asian- or Hispanic- or African- or Anything-but-White-American, suits look darned good, although get the Nordstrom clerk’s advice as to colour and cut: generally go American or British cut, not Italian, and in conservative blues or greys (and no stripes: you’re not interviewing at a Wall Street firm). Ultra-fitted Italian suits may make you look like an ethnic stereotype to white interviewers, alas. If you are, like me, a white guy, don’t go with the suit, but with blazer and trousers–ideally navy (or perhaps black) and grey or tan/khaki trousers. Suits make most white guys in most American and Canadian schools look like they’re too “dressed up” and bucking for a deanship. I love suits, but I’ve never worn them to teach–not at the American SLACs I’ve taught at, not at the big Canadian university I taught at, and certainly not at the West Coast grad school I teach at now. Otherwise, though, I think this advice is bang-on and totally worthwhile. Thanks! This sounds exactly right. Thanks for this expert clarification, John! One more thing. You should not have to wear a belt with a properly fitting suit. This is terrible advice. You should always wear a belt in professional situations. I am going for an interview next week at a two year university and wanted your opinion on the clothing I have chosen. Something to keep in mind: I am being asked to do a teaching demonstration as well as a directing one and I do not believe I will have much time between demonstrations and interviews. The position is in the Theatre Dept and the directing demonstration is 75 minutes of breathing exercise, rolling on the floor and being fairly active and mobile. Last week I went to the Men’s Wearhouse and had a wonderful blue blazer tailored. I am matching that with a classic blue oxford dress shirt, charcoal sweater vest (it will be cold there), dark dress jeans and black dress shoes. Everyone I have shown it to has loved it. My one concern are the jeans. In my field wearing jeans is common place, however I know you love suits. Having worn a suit for other interviews my feedback was that I was too dressed up, perhaps going to a funeral. And slacks for the directing demonstration will probably not allow me to do everything they may ask me to do. Not to mention they would probably be very dirty by the end of the floor activities. What do you think? Thanks! Oh dear, this is getting into some arcane matters of disciplinary norms….rolling on floors??? Anyway, absolutely don’t wear the suit. I have been told by a variety of men from different disciplines that the suit is just too much, and yours sounds like one of those. Econ, poli sci, even history i venture to guess—these are suit disciplines. But theater, art, art history, and perhaps anthro and English—the suit might be overkill there. The dark jeans sound perfect. Wish i could see the outfit! It sounds nice! Thank you for the response. Yes certain situations require certain outfits. The ladies in my life, personal and professional, have all approved the outfit and it makes me happy to hear you have as well. Wish me luck! This begs the question – what’s appropriate for sociology and criminology? I can’t wear slacks; they are not durable enough at the seams. I’m unfortunately overweight due to medical conditions, so jeans are always my go-to pant and always have been. I look stupid in a suit, and I look equally stupid in a tie (like I’m choking to death), so I never wear ties on a campus visit. I wear a collared button-down shirt, usually with a plain-color sweater vest, dark (black) jeans, dress boots and a blazer. That’s about as formal as I can get without looking like an orchestra conductor who has a severe goiter. Any suggestions for improving my “look”? that sounds ok… but without seeing it, i can’t say for sure! I could see not wearing a suit, but do NOT wear jeans. Period. Very accurate analysis of the issues men have in general, particularly the missed social queues. However, as a minority male I hope I don’t embody an unconscious sense of entitlement. In fact, I often feel quite the opposite. As I read through the article, Like John, I couldn’t help but feel that the article was geared towards the white (normative) male. Not a critique of the article, I just want to know if you have any specific advice for minority males in all of these 3 areas or others? In addition, do have advice for interviews in racially homogenous departments (ie. anthropology)? good point about the post; you’re right, it was. unconscious white normativity rears its head again. I will put this question into the queue for the blog. In truth, I’d like to solicit a guest post on this subject. um….many of us have spouses (and kids) rather than girlfriends/boyfriends and moms that we would ask for fashion advice. That comment made me wonder if Karen really understands the contemporary academic job market, especially for a site that is attempting to be as inclusive as possible.